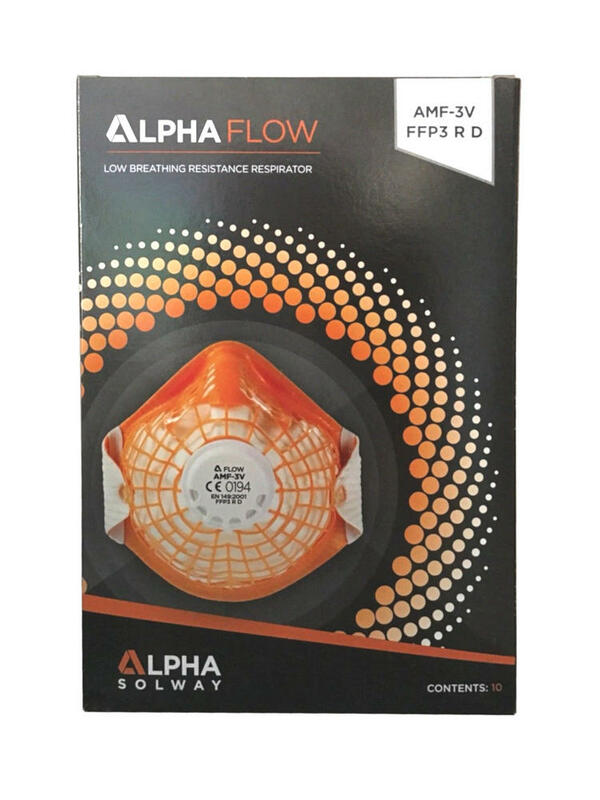 Alpha Solway Alpha Flow FFP3 respirator has been developed to improve the comfort whilst maintaining an excellent face fit. Large surface area ensures very low breathing resistance, reduces heat and moisture build up within the respirator. 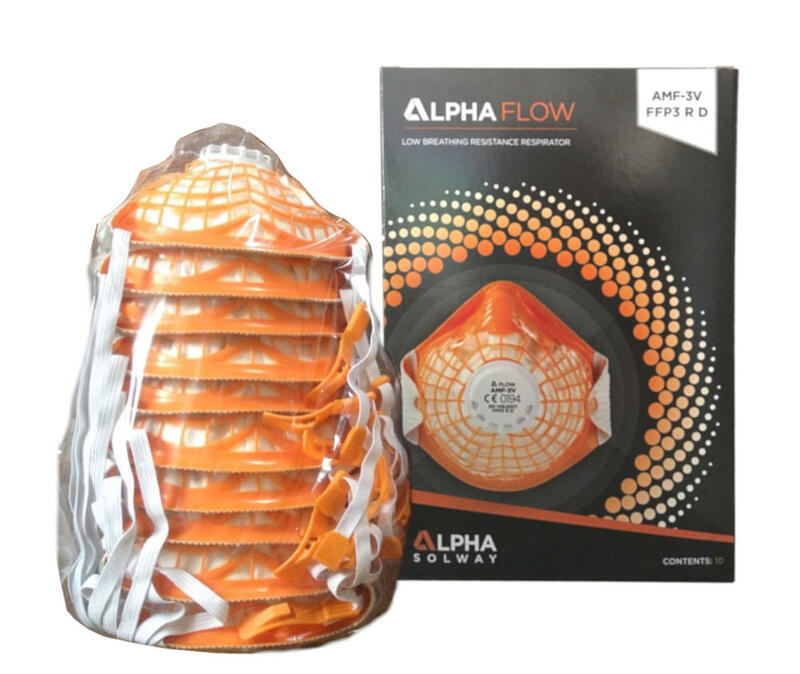 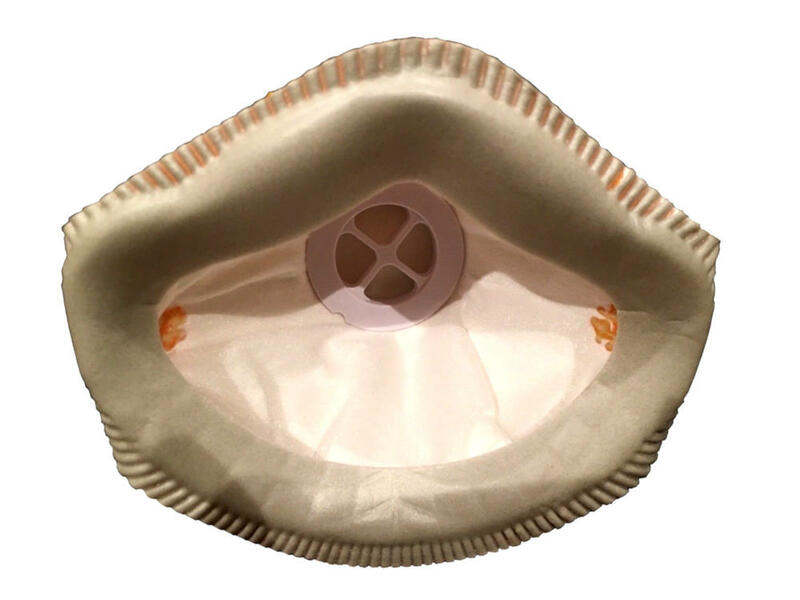 Moulded AlphaFlow shell - prevents collapse onto the face. 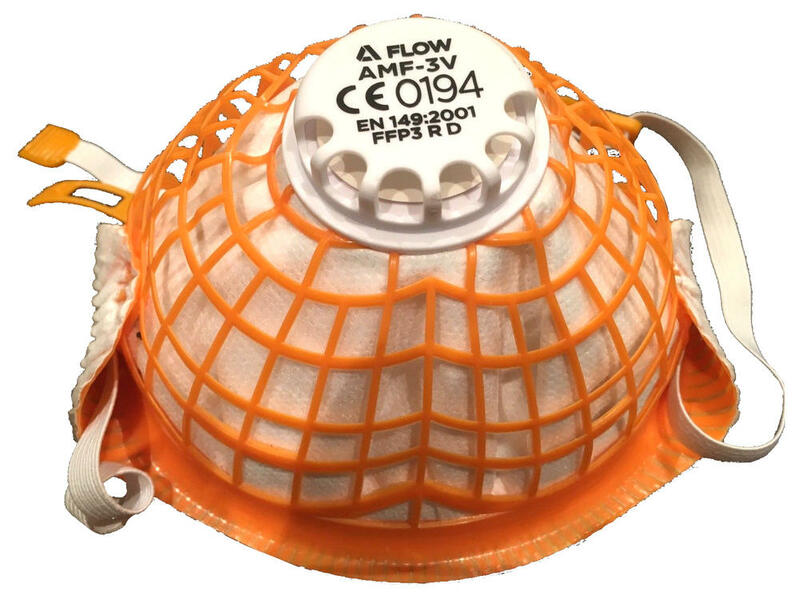 Metal-free - suitable for food industry applications. 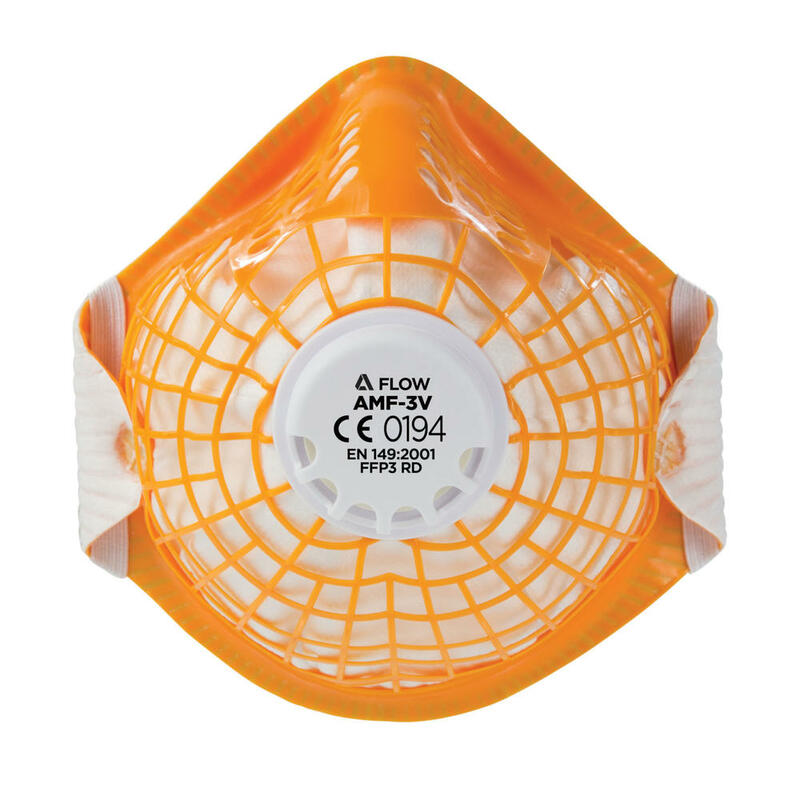 Alpha Solway Alpha Flow AMF-3V respirator conforms to EN 149:2001+A1:2009 FFP3 R D Safety Standards.